Cleon E Heald was elected Commander-in-Chief (CinC) of the Sons of Union Veterans of the Civil War (SUVCW) at the 69th Annual Encampment held at Boston, Massachusetts on August 20-24, 1950. CINC Heald was born in Keene, New Hampshire on September 15, 1898, the son of George W. and Nellie (Ellis) Heald. He lived in Keene most of his life. He was a graduate of Keene Teachers College and attended Boston University. He taught school and was assistant principal at the Portsmouth Junior High School. Mr. Heald was a US Navy veteran of World War II. He was a partner in the firm of Heald Brothers Realtors in Keene, which developed commercial and residential properties. He was a member and past President of the Monadnock Region Board of Realtors, a member and past Director of the New Hampshire Association of Real Estate Boards and a member of the National Association of Real Estate Boards. CINC Heald served in the New Hampshire legislature from 1953 to 1971 and was Chairman of the House Committee on Public Health, Welfare and State Institutions. He was also a special aide to former Governor Walter R. Peterson, specializing in state institutions. He was Executive Director of the New Hampshire Civil War Centennial Commission. Mr. Heald was honored to serve as the last Secretary of the New Hampshire Department of the Grand Army of the Republic (GAR) and as the final Acting Adjutant of the John Sedgewick Post 4, GAR. CINC Heald first joined the SUVCW at the General S.G. Griffin Camp #10 of Keene, New Hampshire and became Camp Commander in 1926-27. He was the grandson of Warren R. Ellis, a Civil War veteran who served in Company I, 9th New Hampshire Volunteer Infantry and who died of wounds at the Battle of Fredericksburg, Virginia. Mr. Heald served as New Hampshire Department Commander, SUVCW, from 1938-39. He served as the SUVCW National Chaplain from 1948-49. CINC Heald was a member of Lodge of the Temple No. 88, F&AM; the Valley of Keene and Nashua Scottish Rite Masonic bodies; and Bektash Temple, Ancient Arabic Order of the Nobles of Mystic Shrine. 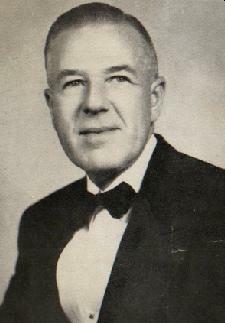 He served as National President of the Kappa Delta Phi Fraternity. In addition, he was a member of the American Legion, the organizing President of the Keene Veterans Council, and President of the New Hampshire Veterans Association. He was formerly a Trustee of the First Baptist Church of Keene and later attended the West Swanzey, New Hampshire Community Church. CINC Heald died at his home in Keene, New Hampshire on June 28, 1986 after a long illness. Survivors included his wife, Marion E. (Hersey) Heald of Keene, one brother, Glenn E. Heald of Keene, and several nieces and nephews. Past Commander-in-Chief Heald is buried at Woodland Cemetery, Keene, New Hampshire.